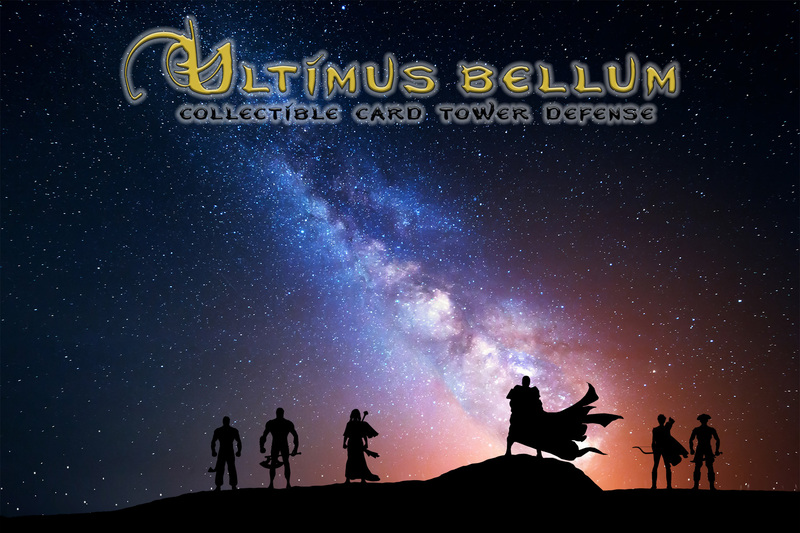 "Ultimus bellum" is translated as "The Last Stand" or "The Last Battle". All of the parallel worlds that surround us have their own gods. Some gods are friendly, some want to conquer other words. Our world is young and our god is friendly. He never faced attacks from other worlds, and when it happened the first time - all he could do, is summon a few heroes to protect our world. Heroes from different century and have different talents. All that overall them is power and heroism. Heroes answer to the call of God and came to the defense our world and become the last line of defense. Unfortunately, the power of men, even if he is hero, are not enough to stop the enemy invaders. Our heroes will have to acquire new knowledge, power and new types of equipment, to stop hordes of invader. Battles take place somewhere between the worlds. Enemy god throws the crowds of enemies to attack us. Our heroes must use tactics and strategy to repel the attacks of superior forces. At the moment, our world wants to conquer few of the gods - the aggressors: the druid sends crazed beasts, necromancer sends hordes of the dead, the shaman orc sends strongest goblins and orcs. Other gods watch on battles and prepare their armies. In each game act you must to fight back unique enemy invader with unique armys!